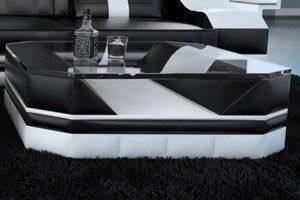 Sofa Sets Modern design fabric sofa sets Happen to be window shopping for modern fabric sofa sets? Well, that happens to be exactly what we offer! 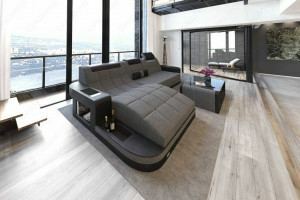 Our fabric sofa packages fully cover a living area's seating needs. More than that, they add a bright, vibrant aesthetic to the room, sparking the design into being. 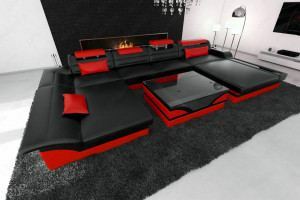 Of course, they're also built to last, so you can look forward to enjoying your new living room set for years to come. While mixing and matching is always a fun experiment, sometimes, homeowners just want an all-in-one solution. If that sounds like what you're looking for, browse through our collection to find the perfect package for you. 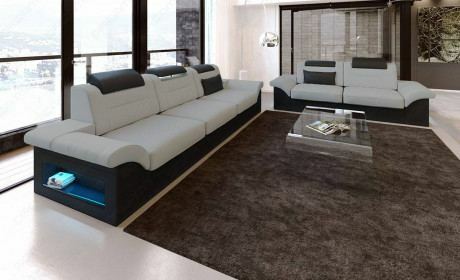 Elegant couch set Orlando 3 and 2 seater in fabric / leather look and LED lighting. 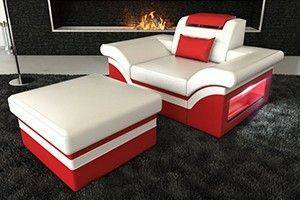 With the electric relax function you can relax your legs. 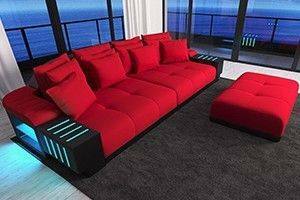 Elegant Atlanta couch set of 3 and 2 in fabric/leather look with LED lighting. With the integrated relax function you can relax your legs. Whether you've just bought a new home and are looking to fill the empty living space with a modern fabric sofa set or if you're simply seeking a new way to refresh a stale living room design, our product range has the solution for you. 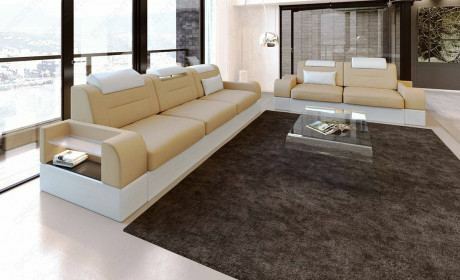 In terms of quality, our modern sofa sets are overwhelmingly comfortable to the touch. A good way to test this is to simply lay your hand over the sof's surface and see if you feel any inclination to pull your hand away. You can take the test a step further by sitting down in it and see if you don't feel like sitting down for a while longer. 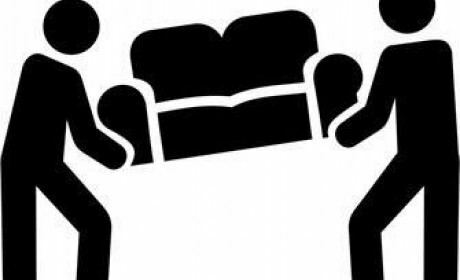 The final test is, of course, to lie horizontally on the sofa, though we would caution you that this could lead to an instant power nap, which might get in the way of your daily agenda. Regardless, we've engineered our furnishing units for longevity as well as comfort, ensuring that they'll remain an integral part of the home's furnishing for years and years to come. Finally, in this day and age, the importance of aesthetic appeal can't be overstated. 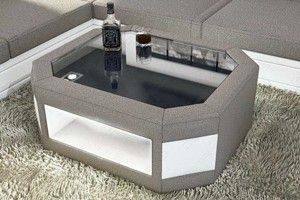 This is why we've designed our sofa units to honor today's design standards while maintaining a relevant aesthetic for the coming years. 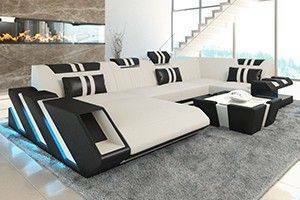 All in all, by shopping with Sofa Dreams, you're securing a tried and tested, immensely comfortable, incredibly attractive sofa. 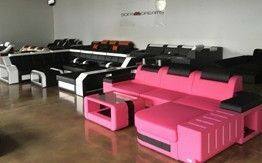 Furthermore, we offer you the option of customizing your furniture based on exact needs and preferences. For instance, if you're looking for some extra storage space to keep blankets, pillows, and even extra beverages close at hand, you can add an extra storage unit with optional high gloss finish. 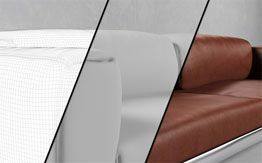 The added features certainly don't stop there - speak to one of our product range specialists for help in finding the ideal seating solution for your living space. 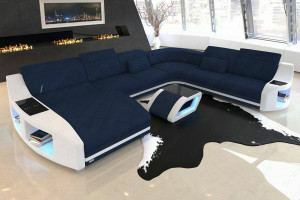 Ultimately, the ideal living room configuration depends entirely on what exactly you're after. 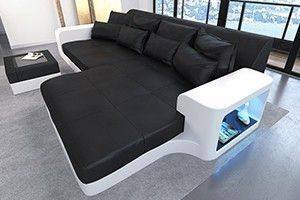 If you're looking to separate a section of the living room in order to act as a mini additional office area or homework space, you can easily do so with our U-shaped sofa solutions. 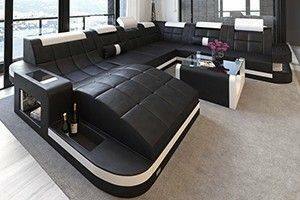 Or, if you're looking for a simple three-seater to install directly in front of the TV set, we have a few options for that as well. Regardless of what furniture you're looking for and for what purpose, you can rest assured knowing that we've manufactured all of our units for maximum comfort and longevity. As pristine as your unit looks today, you can ensure that it will remain that way for years and years to come. 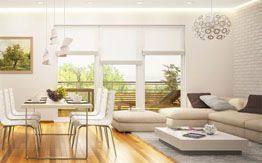 Speak to our sales specialists for assistance in designing your dream living room. 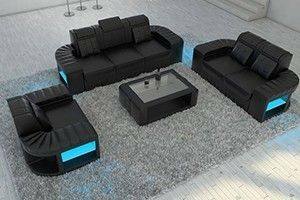 Modern fabric sofa sets If you're looking to fill up the bulk of the clear space in your living room, there's nothing that does the trick quite like our fabric sofa sets. These sets can be configured to suit your exact needs, and you can choose from our extensive list of add-ons to craft the piece of furniture that's made precisely for you. 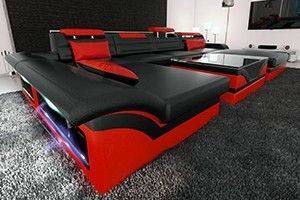 Of course, you'll still need to populate the rest of your living room. If you're looking for assistance in locating the most worthy complementary items to add to your living room decor, you're encouraged to reach out to our customer service team and find out how our product range specialists can help build your perfect living space. 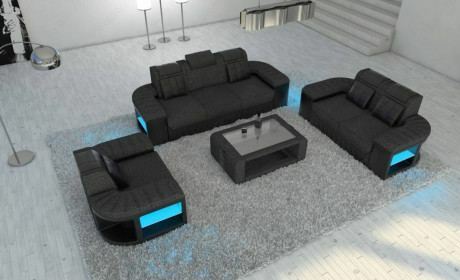 Modern 3 2 1 sofa seats As a homeowner, it's clear when your living room needs something new. Perhaps you've noted the simple sign that there were too many people left standing during last Sunday's football game. Or the fact that one of the kids always has to lie down on the carpet during their show time. If you can use the extra seating, find the solution in our modern 3 2 1 sofa seats. 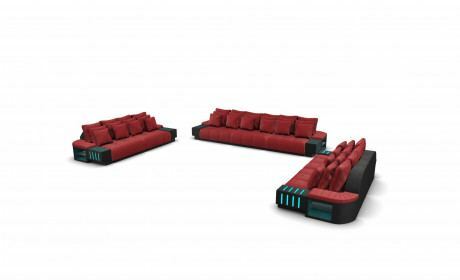 Choose your ideal size, and keep in mind that all solutions can be reconfigured in a variety of shapes, allowing you to lay your living room out based on the needs at hand. 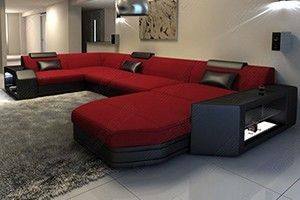 Modern sofas sets 3+2+1 Whatever your living room seating need, you can flip through our range of modern sofas sets 3+2+1. We've built our collection to ensure an option for homeowners. 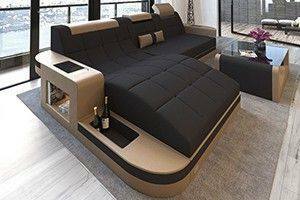 If you don't find what you're looking for in a specific furniture model, you can dig deeper and configure an attractive model based on your exact requirements. 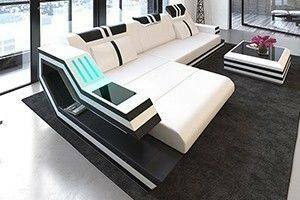 For instance, if you're looking to turn your living room into a party center, you can opt for an integrated LED lighting addition to your new sofa. Regardless of your chosen configuration, you can use the seating in confidence knowing that all of our furniture has been manufactured to honor basic EU standards.